Wellbeing took centre stage at the second edition of the IMEXrun – an energetic way to ‘sweat work’! 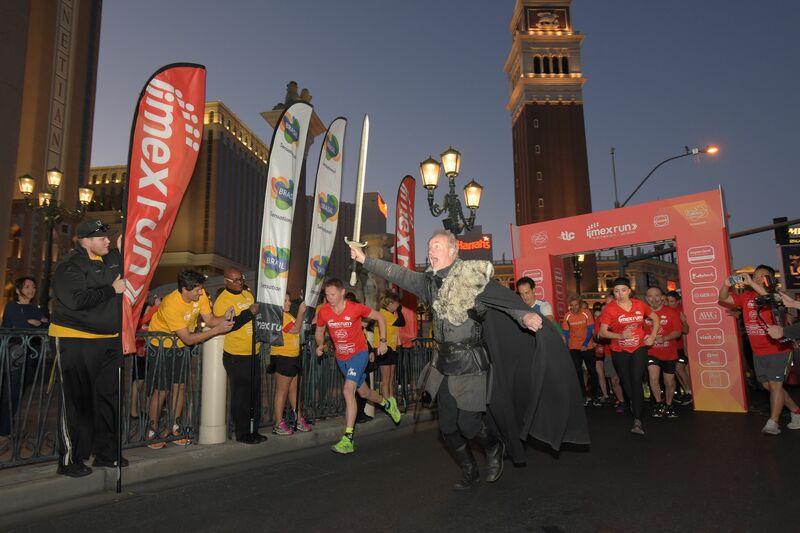 Around 800 planners and exhibitors took part in fully booked fun run along the iconic Las Vegas strip. Also back by popular demand is the Be Well Lounge, sponsored by Hilton, a relaxing retreat led by the inspirational Lee Papa. Each day begins with yoga and continues with meditation and relaxation classes, all designed to ensure attendees stay ‘show-fresh’. “Our morning meditation has been really popular and my team and I have noticed a visible difference in people before and after each session – they leave feeling energised and invigorated. Plus, the bite size sessions enable people to build in important relaxation around their busy days at the show,” explains Lee Papa. Planners experienced ways to ‘fit fitness’ into both conferences and their own busy lives in Sitting is the new smoking delivered by Kim Bercovitz, president of X bytes. In today’s session, Why you should include wellness in your conferences, Kim got attendees up and moving, running through a series of easy yet effective exercises that can be carried out as part of meetings and events. Boosting your wellbeing and giving back to the local community? It’s a walk in the park! That’s according to over a group of volunteers who enjoyed a spot of ‘netwalking’ and supported IMEX America’s host city by joining a new initiative launched this year – Garbage Grabbers. 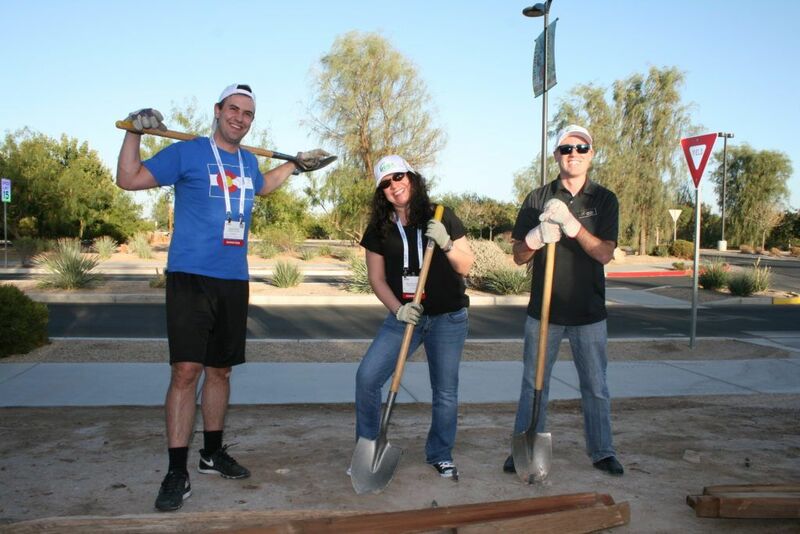 They headed to Sunset Park, a jewel in the Las Vegas Valley, to help repair flood damage, pick up trash, clean the children’s play and picnic areas, and revive the volleyball courts. Garbage Grabbers took place on Smart Monday and was organised by the Outside Las Vegas Foundation. 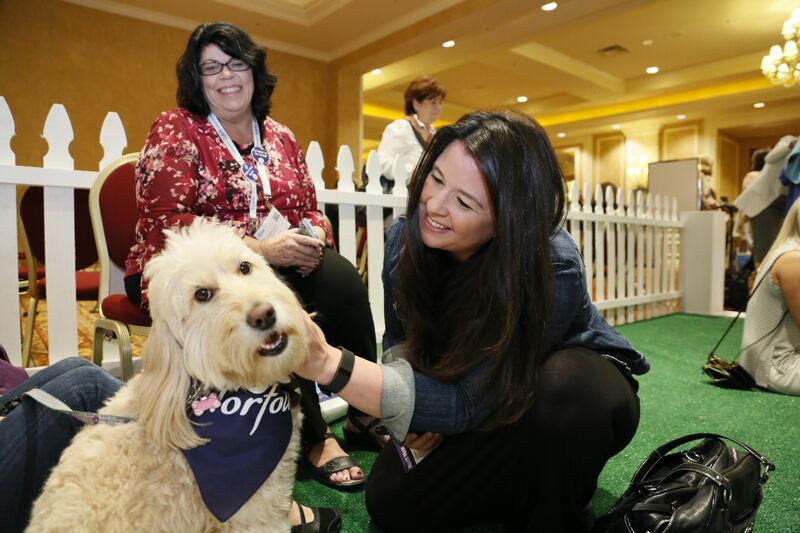 Smart Monday attendees were encouraged to ‘Paws for a Break’ and enjoy some relaxing time with four legged friends. MPI teamed up with a local animal therapy training organisation to bring dogs to the show for the first time this year. It’s official – time spent stroking a household pet improves emotional health and helps reduce stress, and ‘Paws for a Break’ proved a hit with canines and humans alike! “During busy business days at the show, wellbeing should not take a back seat. 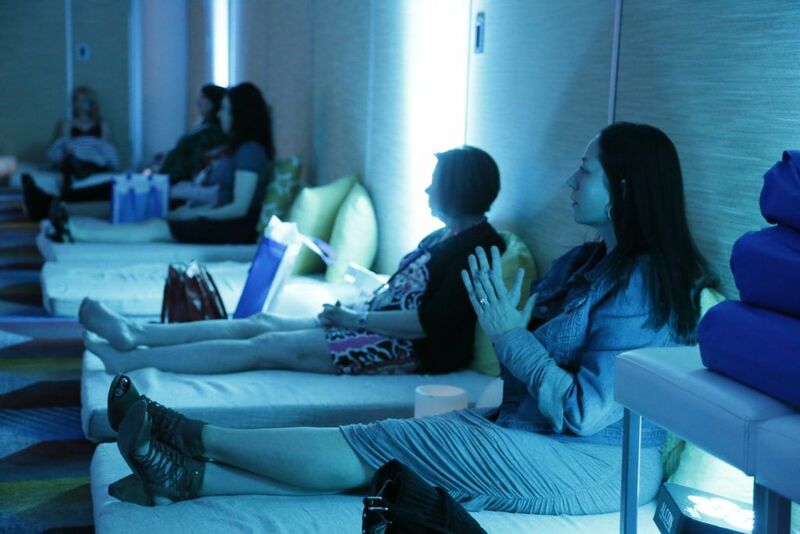 Our Be Well programme is designed to ensure all attendees feel refreshed and revived during their time at IMEX – as well as giving them ideas on incorporating wellbeing into their own meetings and events. We want to showcase options for planners looking for ways to boost the attendee experience in a way that’s more sustainable and healthier.” Carina Bauer, CEO of the IMEX Group, explains the philosophy behind a series of wellbeing and CSR activities at IMEX America currently taking place in Las Vegas. As IMEX America ends tomorrow, attendees leaving the show are encouraged to drop their badges in a badge back bin. These will then be donated to the Teachers Exchange, a local organisation which collects office supplies and other surplus materials originally headed for landfills and distributes them to local teachers for use in the classroom.